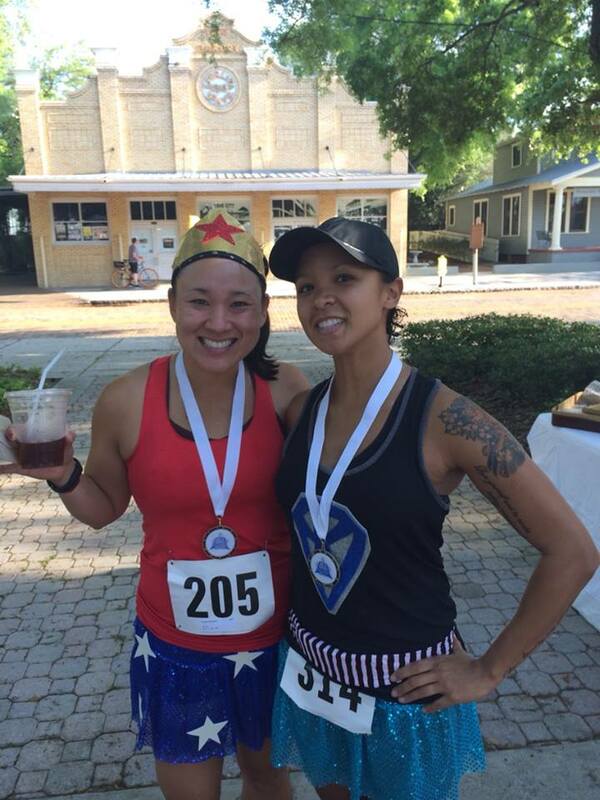 This morning, my pal Kat and I raced through Historic Ybor City in the 13th Annual Race for Sight 5K! It was the main event in my super fun pre-birthday celebrations and was definitely a blast. The decision to run this 5K was born out of a random conversation that we had had a few weeks ago on Facebook, as Kat was working to best a previous 5K PR. I told her that I wanted to dress in a costume and chase her around the city, but apparently, she preferred being paced, instead. While we did not hit the goal time today, we both placed in our age groups (my last time in the 25-29!!) and considering the pollen/allergens were out in full force, we felt it was still a WIN. The course is flat and fast (very few turns) and showcased several scenic points. The race itself was very well organized, and for $25, I felt it was money well spent. The funds raised support the Lions Eye Institute Foundation, which works to research eye diseases, fund programs which enrich the quality of life for the blind and visually impaired, and educate the general public about related issues. Age Group Awards (3 deep) including a medal, and for 1st in AG, I got a $5 Starbucks gift card! I am glad that I had the opportunity to participate in this event, and it’s definitely one I would consider repeating. What are some cool local events in your area? Love the costumes! Way to go girlies!! And Happy Pre-Birthday!! You both look great. Congrats on your AG awards and clearly enjoying your race., The pollen this time of year is wicked! Congrats on your AG award. You’re my hero! Love your costume!! Congrats on your age group win! !